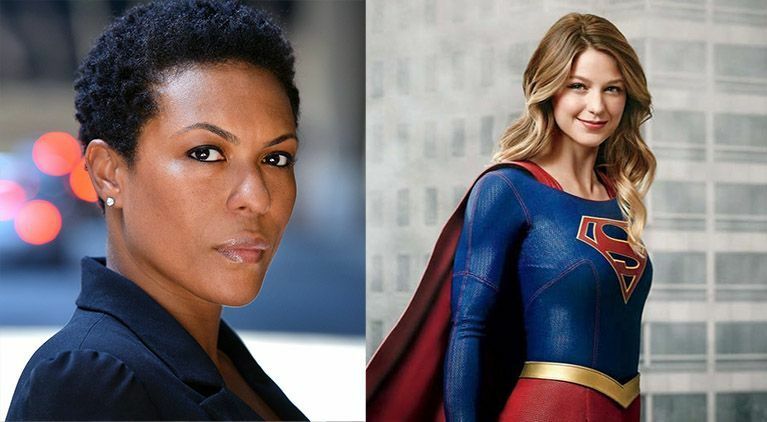 Supergirl will get some new faces when it returns for its fourth season, including April Parker Jones. It was announced during the show's San Diego Comic-Con panel that the actress will appear as a series regular this fall. Jones will play Colonel Haley, a character described as a hardline career military woman who lives and dies by the orders of her commanding officers. Haley's dedication ot her country leads her to always act in its best interest, even if that means acting against her own. The character "Colonel Haley" doesn't have an exact DC Comics counterpart, but there are a couple characters the series could be drawing from. The first is Lauren Haley. A lieutenant in the United States Air Force, Lauren first appeared in Wonder Woman #325 from 1985 where she was rescued from the Aztec god Tezcatlipoca by Wonder Woman. However, Lt. Haley was erased from existence during the collapse of the original Multiverse in Crisis on Infinite Earths. The second possible character Supergirl is drawing on is Walter "Prof" Haley. First appearing in 1957's Showcase #6, Professor Haley was a master skin diver and oceanographer who survived a plane crash and formed an adventuring group with the other survivors of the crash called the Challengers of the Unknown. However, with Supergirl set to take on their version of the Superman: Red Son storyline in season four an adaptation of Lt. Haley seems the most likely. During the season three finale it was revealed that an alternate version of Kara (Melissa Benoist) had appeared in Siberia, presenting new challenges and mysteries going forward. In addition to Jones, who is best known for her roles on Jericho and The Last Ship, Supergirl announced that Nicole Maines will be joining the cast in a series regular role as television's first transgender superhero, Nia Nal/Dreamer. They will join David Ajala as Manchester Black and the previously announced Sam Witwer as Agent Liberty. Are you looking forward to Supergirl's fourth season? Let us know your thoughts in the comments below! Supergirl returns in October. The show's fourth season will air on Sunday nights at 8 p.m. ET/PT on The CW.